No matter how safe we try to be there are times in life when we face injuries. Some of these injuries heal over time and leave us well and fit again. Some of them leave some kind of a pain in the injured area even after the wound is healed. Thanks to modern technology, we have found methods to deal with this pain. Then, there are other times when some kind of a habit we have, ends up producing pain. For example, if you are someone who spends most of your day seated on a chair in front of a computer then you must feel a lower back pain at the end of the day. This is something that we have to face because of our working environment which is little hard for us to change. Then, how can we find a solution for pain? There are actually traditional methods to deal with this problem of pain as well as a modern and more useful method. The traditional methods that we use to solve the problem of this recurring pain are generally using the help of some medication or herbs that are accepted in our cultures. We also use the help of massage therapists. However, the first solution does not guarantee full recovery from the pain. The second solution, though it can be helpful, can also end up being harder to get as that requires us to find a competent massage therapist to help us out. However, now you can get a good treatment by using a very accepted and result delivering method. This device is also known as Transcutaneous Electrical Nerve Stimulation device. It provides small electrical shocks to the area of your body that is suffering from pain. By doing so it can relieve you from the pain you are suffering from by stimulating the nerves in that specific area. Since TENS machines in Australia are now even accessible to anyone through Independent Living Specialists, you can purchase online, if you would like the opportunity to find a way to relieve yourself from the pain you are suffering from on your own. The device comes with a manual and it is battery operated. You do not have to worry because the electrical shocks are going to be not too high to harm your body in any way. As this device comes in both analog and digital format you can easily choose the one you find much easier to use. The digital device even allows you to keep your treatment times and schedules stored in it too. That can be help for you if you are someone very busy. Therefore, use this kind of new and modern opportunity that has come your way to help you overcome the pain you are daily suffering from. Tens machines use a low voltage electrical shock as a method of pain reliever. Tens stand for transcutaneous nerve stimulation and the tens machine constitute of a small battery powered machine of the size of a pocket radio. Two electrodes that can be attached to the point of pain in your body convey electricity from the machine to your body. The electric shocks are said to block or scramble the pain signals that are sent to the brain from the affected area. They can also affect the production of endorphins in your body that naturally block pain. This article will share top five things that you must know about tens machines before purchasing one. What is the tens machine used for? As mentioned earlier the tens machine is used as a substitute for painkillers to relieve any pain in your body. It can be used to subside any pain in your muscles like muscle cramps, muscle strains, and tearing. They can also be used for diseases that cause joint pain and bone pain like osteoarthritis and fibromyalgia. Tens machines have also been used to treat pains like labor pains and pain of cancer patients. How to use the tens machine? It is best to use your tens machine according to the prescription of a physician or doctor. When using the tens machine you should make sure that the skin area that you intend to attach the electrodes are clean and dry. You should also not use the machine near where there is water. The frequency of the electric wave can be adjusted through the settings of the machine to either steady flow or bursts of current. You may listen to your physician or acupuncturist on what frequency and intensity are best suited for your condition. Being in pain can make life gruesome for you and your close ones. Taking away that pain is the truest blessing that tens machines give to you. It can allow you to regain your leisure hours. Another benefit is it does not have any side effects on your body as it is used externally. Using pills as painkillers are known to have negative side effects such as acid reflux, gastritis, and heartburn. Using the tens machine will remove such costs on your body. How to get yourself a tens machine? You can easily order your favorite tens machine now from Independent Living Specialists at the lowest cost possible. We are offering a special deal on our premium tens machines. You can pick one up from any of the showrooms, situated in Sydney or from our online store. We also offer free shipping for online orders so go check out our web page and benefit from this wonderful opportunity. There are several types of tens machines at ILS that you can pick from. All our products are reliable and safe, so you need not worry about going home with anyone of them. The Protens and EMS dual unit with the premium display is at the top of the market. It comes with a tens stimulator unit, a carrying case, 2 tens lead, 3XAAA batteries, an operating manual and a packet of four electrodes. 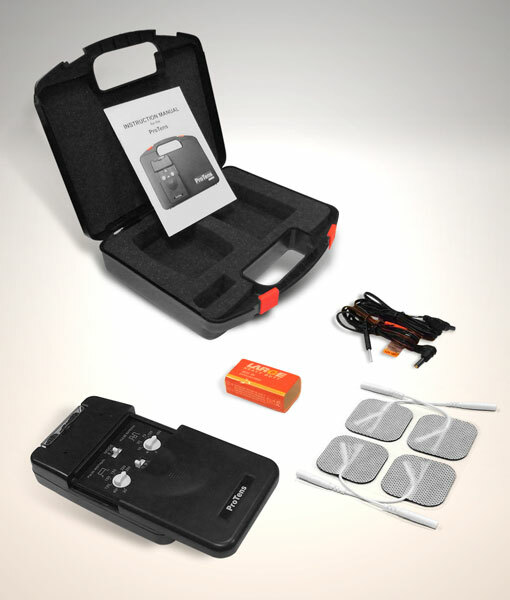 This digital tens machine has the ability to store your treatment times and schedules to be accessed by your chiropractor or physician.